A fully self-contained wood+aluminium enclosure to exhibit LIA's artwork Rain for the exhibition medien.kunst.sammeln (media.art.collecting) at Kunsthaus Graz. 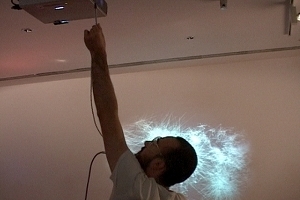 To exhibit her interactive generative software artworks in the 1990s and early 2000s, LIA would use a projector, a computer and a desktop computer mouse on a stand to allow users to interect with the work. However, over the past decade the aesthetics of user interfaces and what audiences/users have come to expect from interactions with software has changed significantly, and artists who work with digital systems are rethinking the ways their works are exhibited and interacted with. At the same time, collectors and museums are becoming more selective in their collecting practises, and as with consumer computing devices, a preference for objects which are self-contained and low-maintenance is becoming apparent. A collector does not want to collect a 'computer' and have to think about the associated complexity, maintenance and upgrade issues that are associated with this idea; they would rather collect objects that are self-contained, embedded and maintenance-free: devices that 'just work'. To deal with these issues as they relate to her practise, LIA commissioned Damian Stewart to re-imagine how her work could be exhibited. The initial results of this collaboration were a pair of interface boxes built to exhibit her pieces Arcs 21 and Proximity of Needs at Paraflows.10 - Mind And Matter in 2010. 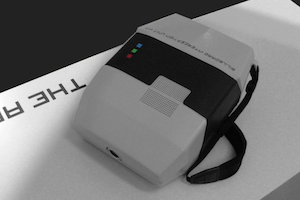 The boxes provided interfaces with sliders and buttons to completely replace the mouse-driven interface of the original software-only works, allowing new kinds of interaction by giving physical tactile control of the works completely over to the audience. For the exhibition medien.kunst.sammeln (media.art.collecting) at Kunsthaus Graz 2012-2013, we took this idea further, creating a completely self-contained exhibition-ready enclosure to house and present the work. The challenge was to create a device as slim as possible, a device that could simply be hung on a wall like a painting or a photograph. Through an intensive design and manufacturing process involving sophisticated CAD/CAM design and CNC machining alongside skilled carpentry and handwork, we arrived at a beautiful object resembling a 36cm x 70cm (14" x 27") picture frame, with a depth of just 6cm (2.3"). Within the cherrywood frame is everything necessary to show the work: an embedded low-power computer running the Linux operating system, built from the ground up to be maintenance free and self-repairing; a full HD screen to LIA's specifications; sliders and buttons for interactivity; and all necessary power and support electronics. Power is provided through electrical screw terminals meaning the work can be installed like a light fitting with no external wiring, to further accentuate the picture frame aesthetics. Powered by openFrameworks on a Pandaboard running Ubuntu. Cherrywood frame joinery by Johann Wegscheider. Now They Know is an installation of 45 lights that pulse in repeating patterns, investigating the ways we perceive rhythm and relationships between events and entities. Expanding the body of work begun with Now We Know and Luciolinae, Now They Know investigates the ways we perceive rhythm and relationships between events and entities. Although each light element in Now They Know has no programmed relation to its neightbours, we find ourselves perceiving parts of the group and even the whole group as larger entities, to the point of sensing a kind of communication between the individual elements. The work makes use of the chaotic behaviour of groups of oscillators. If left to operate independently, each oscillator would eventually relax into a steady state; however when multiple oscillators are placed in proximity they will tend to lock phases and forge short or long term relationships with each other. Through particular selection of timings, the oscillators that comprise Now They Know drift and snap in and out of phase with one another, led by constantly shifting attractive and repulsive forces to search for a kind of dynamic equilibrium in time. Exhibited at eSeL‘s Rezeption, Museumsquartier, Vienna in 2011. Luciolinae is an installation of entities, made of light and sound, whose only functions seems to be to communicate amongst themselves. Luciolinae evokes the mating songs of humpback whales, or the bellowing of shipping freighters drifting through a bay on a foggy night. The signals passing back and forth between the Luciolinae are primal utterances of presence. Their utterances are so much a part of their being that the utterances and the beings are nearly not worth speaking of in separate terms: they are entities whose only function seems to be to communicate amongst themselves. As viewers we observe them, like microbes in a petri dish. Their technological nature and aesthetic are reminders to us that we are the universe obser ving itself. Though their utterances are foreign and artif icial, they bear as much relation to us as humans as to the technology that spawned them. Though we do not understand their language, we can watch it play out its patterns. These patterns of utterance give an impression analogous to the kind of mental model from which language first emerged. Exhibited at Galerija Kapelica, Ljubljana, 16-27 August 2010. Built using openFrameworks and Pure Data, and produced during a residency at Kiberpipa. Financial suport provided by the Municipality of Ljubljana & the Ministry of Culture, Slovenia. Wind sonifies movement in the viewer's visual environment in a way that heightens visual awareness. Each presentation of Wind takes the form of a temporary intervention, constructed around a site-speciﬁc visual environment of objects that are moving in the wind, such as a tree or a ﬁeld of tall grass. 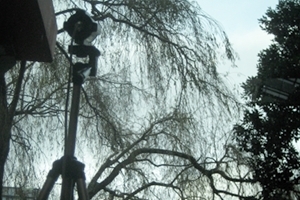 A video camera records images of this visual environment. The images are directed through a digital processing system that extracts ﬁelds of motion and mathematically transforms these into ﬁelds of sound. The ﬁelds of sound are in turn reproduced through loudspeakers placed within the original environment. Heard and seen together, the sound ﬁelds and visual environment form a tight cybernetic feedback loop. The sound ﬁelds guide and enhance the viewer’s visual experience, focusing their visual attention toward particular kinds of visual motion. This strengthened visual experience guides and enhances the viewer’s sonic experience, focusing their sonic attention toward particular kinds of sonic motion. This feedback loop creates a strong interconnection between the visual and the sonic within the mind of the viewer, leading to momentary states of complete attention to the different senses, and an overall heightened awareness of the beauty that is present. Wind has been exhibited in 2008 at O Espaço do Tempo, Montemor-o-Novo, Portugal and in 2009 at the 6th aDA Symposium, Wellington, New Zealand. 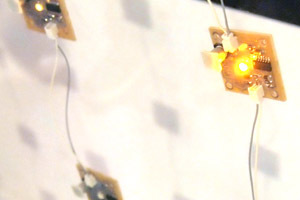 Following a grant from NetzNetz/Wien Kultur in 2011, a battery powered vision processing module incorporating an amplifier was developed, which allows exhibition in any outdoor environment. Made with openFrameworks and Pure Data, with production completed during a New Interfaces for Performance residency. 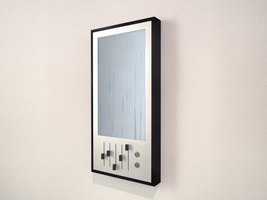 The Artvertiser is a hardware device and software platform for replacing billboard advertisements with art in real-time. Rather than refering to this as a form of Augmented Reality technology, we consider The Artvertiser an example of Improved Reality. The project was initiated by Julian Oliver in February 2008 and is being developed in collaboration with Damian Stewart. It has appeared in full working form in street exhibitions in Berlin as part of Transmediale 2010, in Brussels for the Europe wide Media Facades Festival, in four inner-city walks during Rotterdam's Image Festival, and in Helsinki in 2011 during a workshop hosted by m-cult. More at The Artvertiser website. 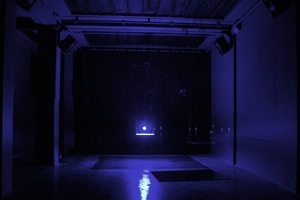 Now We Know is a plexiglas box that switches sequentially between three states: a pulse of blue light that gradually fades away, a short pulse of sound, and contemplative silence. These three states are repeated, in this same sequence, endlessly. The endless nature of the repetition implies a cause-and-effect cycle at work, each state causing the following state. Each individual work in the edition has its own timing pattern and adjustable tuning, and in the combination of multiple singular works, patterns emerge between the lights, between the sounds, and within both light and sound together. Due to differing perceptive capabilites and predispositions, these patterns are perceived differently by each observer. An edition of 20 was produced and sold during ARTmART 2010, Kunstlerhaus, Vienna. Now We Know follows on from the Luciolinae series of installations that were exhibited during 2010 at MuseumsQuartier in Vienna, Galerija Kapelica in Ljubljana, and Gazebo (as Art in Public Space) in Vienna. These works are based on studies of perception, especially regarding particular patterns in artifical constructs giving rise to the impression of organic life and behaviour. 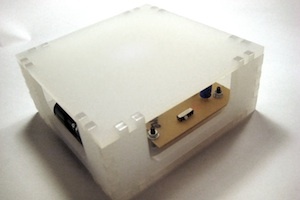 Production of the boxes was completed at Happylab, Vienna. Lights On! 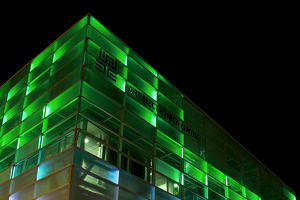 was a performance and permanent installation for the facade of the new Ars Electronica museum. Working with Zachary Lieberman and Joel Gethin Lewis from YesYesNo and musician Daito Manabe, I designed lighting patterns and wrote software to control over 1000 architectural lighting fixtures installed on the facade of the new Ars Electronica museum. Lights On! consisted of both performance and a permanent installation components. The performance, featuring light patterns synchronised to music especially composed for the piece by Daito Manabe, premiered just before midnight on New Year's Eve, and was repeated for the Ars Electronica Museum opening celebrations on Jan 2 and 3. The installation component features a simulated planetary system honouring the scientist and astronomer Johannes Kepler, and will run throughout 2009. 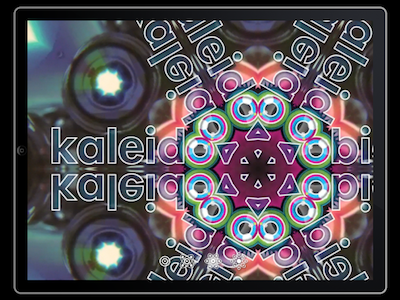 KaleidoVision applies various kaleidoscope-style visual effects to videos. The app works by gaining access to pixel data for videos stored on the device. The pixel data is loaded into an OpenGL ES texture. The various fragments of the kaleidoscope effect are then rendered as OpenGL quads and triangles. During interaction a recorder stores user touches and swipes, saving them so that they can be replayed later. GogoParis/GogoLondon are travel guides with heavily customised UI and Google Docs backend. 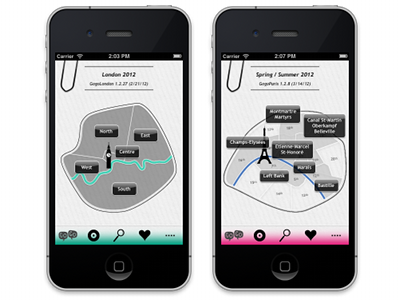 Apps feature GPS-based 'nearby' search, heavy use of tags and metadata, and a comprehensive and effective search system. I was responsible for the complete data architecture design, as well as providing user interface design consultancy, specifically around navigation and application flow. With more than 450 entries for each application, the database is stored and managed entirely on Google Spreadsheets, making it very easy for the client to keep the content up to date. Waves to Waves to Waves visualises and sonifies ambient electromagnetic energy. Human-generated electromagnetic waves are traveling over, around and through us all the time. Wifi, cellphones, radio, and television broadcast all create electromagnetic fields that are 'loud' compared to the natural background, but imperceptible to the human senses. This invisible world is alive with activity that directly reflects our growing relationship to and dependence on, technology. With specialized devices sensitive to changes in electromagnetic fields, detected changes are converted into electrical signals and a unique landscape of sound and structure is slowly uncovered. Snarling wires pulsate and grow in wild masses, cellular-like forms explode as bit torrents download files, and subtle reeds dance and dangle as cellular phone signals cross the room. Amsterdam Metropol 2040 is an interactive data visualisation showing projected traffic and public transport for Amsterdam in the year 2040. 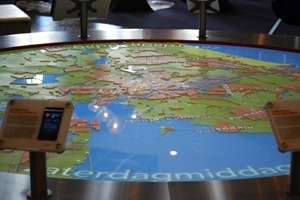 The visualisation is projected from overhead on to a 6m diameter circular relief map table. Visitors to the installation can interact with the visualisation using 9 iPod devices installed around the table. Currently on display at Amsterdam RAI. During a 3-month residency in the Austrian alps I created around 10 scenes for the RjDj platform on the iPhone. 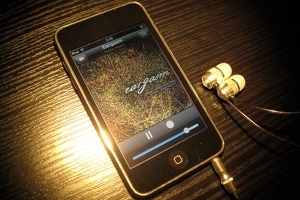 RjDj is an iPhone application that uses Pure Data to provide a realtime interactive generative sound experience on the iPhone. Sounds Like Light, Lights Like Sound is a space for playful interaction with abstract sound and light. Winner of Best Visual Arts in the Wellington Fringe Festival 2007, Sounds Like Light, Lights Like Sound uses computer vision technology, open source software including PureData and OpenCV, and hand-built LED lighting controlled through a Wiring or Arduino board, to transport you to a world where your movements create subtle shifting patterns of sound and light. It responds to your movements, and it is sensitive enough in its responses that it enables a space to be played, intuitively, like a musical instrument. 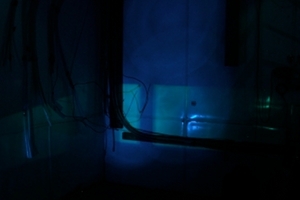 Physically, an interior space, access to which is physically and psychologically disconnected from ordinary reality by way of neglected service entrances, utilitarian maintenance corridors, and finally darkness, is augmented with sensory technology and light and audio producing equipment, so that within it, additional spatial dimensions take form through light and sound. Having passed through the neglected service entry and utilitarian maintenance corridors that make up the entrance, upon arriving to the actual space of the artwork, the visitor is immediately aware they have entered somewhere where the normal rules of vision and hearing do not apply. The slightest movement within the space causes audible changes (changes to the synthesized soundscape) and visible changes (dramatic changes in the colour and intensity of the lighting of the space). Audiences soon discover that the rules underlying the relationships between their movement and these aural and visual changes can only be learnt by experimentation and play. Furthermore, the system is sufficiently sensitive, and the movement -- sound -- light mappings are sufficiently intuitive, that visitors to the installation find themselves able to perform the space as if it were a musical instrument after just a few minutes of experimentation. The physical isolation of the darkened space frees visitors from any social pressure, any sense that they are being watched, and so they feel able to act in as free a way as they wish.